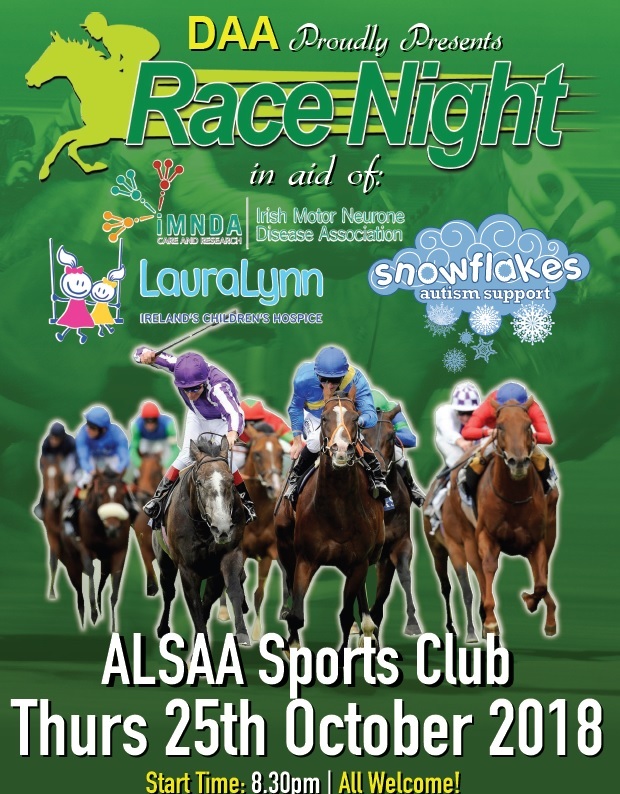 DAA is proudly hosting a race night in aid of it’s charity partners Laura Lynn, Snowflakes Autism Support and the Irish Motor Neurone Disease Association (IMNDA). This night is taking place on Thursday 25th Oct at 8.30pm in the ALSAA Sports Centre. All are welcome! !